The government’s obviously been reading my blog and has launched a review into foreign property buying. But it looks like they’ve missed the point, leaving us all in the dark. I’ve been writing about the impact of Chinese buying for a while now. And in the middle of last month I predicted that it was going to become a hot-button topic. (See: Scandal Set to Explode). Less than four weeks later, the media frenzy is in full swing and the government has announced an inquiry. I don’t have a lot of faith in inquiries to produce anything of worth, but the government saw that this was a brushfire that was about to get out of control, and they needed to do something. The one hope I have that the review delivers some better data than what we’ve currently got. Not because I think that data would show us anything radical and scary. Exactly the opposite. Good data is the antidote to wild conjecture and rumour. But it’s not clear to me from the inquiry’s terms of reference (TOR) that that is what we’re going to get. Let’s break it down to get a better idea of what we can expect. The overarching principle of Australia’s foreign investment policy, as it applies to residential property, is that the investment should increase Australia’s housing stock. The policy seeks to channel foreign investment in the housing sector into activity that directly increases the supply of new housing (such as new developments of house and land, home units and townhouses) and brings benefits to the local building industry and its suppliers. Bravo. As I’ve written elsewhere, Australia just doesn’t build enough houses. Build rates have been falling every year for the past decade. This is probably the primary driver of house prices over the long run. In that sense, anything that helps bring new supply to the market should be welcomed with open arms. If it takes Chinese buyers to make it happen, then I’ve got no problem with it. Consistent with this principle, foreign investors are able to seek approval to purchase new dwellings and vacant land for residential development. Foreign investors cannot generally buy established dwellings as investment properties or homes; however, temporary residents can apply to purchase one established dwelling to use as their residence while in Australia. And this is the sticking point. No one really seems to care about Chinese buyers buying apartments in Melbourne’s CBD off the plan. It’s when they’re buying existing houses in leafy suburbs of Sydney that everyone goes crazy. What’s the difference? Really? Is it because we don’t mind them buying places we don’t want to live in ourselves… but when they start competing with us or our children for the places we love… and out bidding us – then it’s a problem. Is that it? The only problem I have with it is that we’re missing an opportunity to channel this money into increasing the housing stock and building nation’s wealth. Buyer’s agent Shane Clinton of Buying Houses Australia says overseas buyers often side-step requirements that they only buy new property by purchasing established dwellings in the name of already established family members. 99 percent of clients buying outside the visa guidelines? There’s an awkward stat. We reportedly sold 5,091 existing homes to foreigners in 2012-13 (valued at $5.42 billion), but if these anecdotal reports are true, this could be a massive under-estimation! And with so much uncertainty flying around, it’s fodder for anyone who wants make provocative and sensationalist claims. And so this is where the TOR lays out what the questions the committee wants to ask. Notwithstanding these settings, concerns are raised periodically in relation to the possible impact of foreign investment on the Australian housing market. whether the administration of Australia’s foreign investment policy relating to residential property can be enhanced. But can you see the gaping hole here? The committee is just going to run into the same brick wall that I’ve run into when trying to get a handle on what impact Chinese buying is having – there’s not enough data, and the data we do have is opaque and difficult to make sense of. It’s impossible to find your way in the dark. But a review of the rules themselves (and whether the rules are actually being enforced!) is very welcome. We’ve got to take the guessing and conjecture out of this topic. As I’ve said before “foreigners buying our homes” and “our kids can’t afford to buy a house” are both hot-button topics. Combine the two together and you’ve got a very volatile mix. A healthy dose of data should chill everybody out I reckon. Even if there’s a problem, we’ll then be able to know how to deal with it. SMSFs are playing a ‘slow and steady’ race. Despite all the hype, they’re still relatively small players in residential property. But they have the potential to be huge, and totally reshape the market. The two big stories in Aussie property right now are Chinese buyers and Self Managed Super Funds (SMSFs). It’s headline news because both a relatively new phenomena. 10 years ago they were barely blips on the property radar. But with all the hoo-ha in the papers it’s easy to overstate how important they are to the current cycle. The impression you get is that the only people buying houses in Sydney are the Chinese. The only investors making plays at the moment are SMSFs. But the truth of it is, that right now, both players are still relatively small fish in the property pond. And the stories about hordes of Chinese buyers cruising the streets of Sydney distract us from what’s actually going on – and that’s a broad-based cyclical recovery in property. You don’t get double digit growth in a market as big as Sydney just because one buyer segment goes on heat. What we’re seeing in property right now is in a way, exactly what you’d expect. We had a number of soft years, while thanks to massive global money flows coming out of the US, Japan and Europe, interest rates fell to record lows. It’s a perfect recipe for a bounce in prices. And the cyclical recovery (predictable, bland and unnews-worthy as it is) is the real story here. I think this is what Tony Cahill, general manager of wealth management at Bank of Queensland (BoQ), was getting at during the week. He was keen to make the point that SMSFs aren’t to blame for the surge in prices we’ve seen over the past year. In fact, SMSFs have typically been more drawn to commercial rather than residential property. Many DIY fund trustees are small business owners and current rules allow them to invest in a property where their businesses operate. 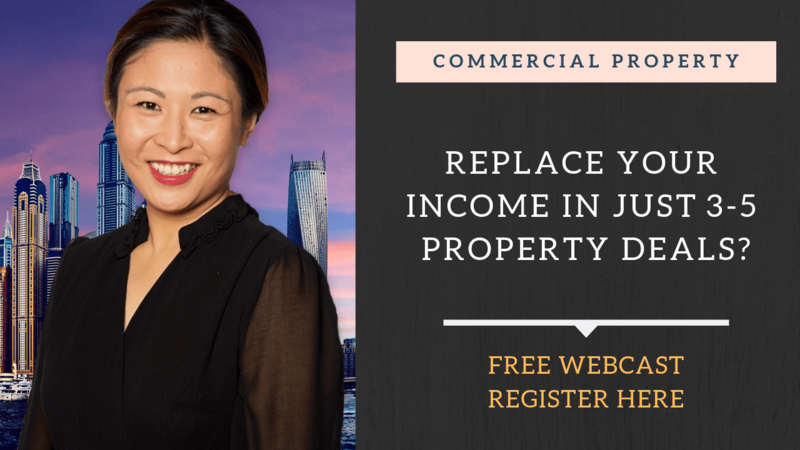 Yields – or investment income – from commercial properties are also usually higher than those netted from residential assets. SMSF borrowing to invest in property contributed to only a fractional 3 per cent of system growth in residential lending. SMSFs are still small fish in the property pond. And this is exactly the point I’d make. The real impact of SMSFs (and Chinese buyers) isn’t going to show up in short-term cyclical dynamics. What we’re talking about are long-run game changers. It’s not their current appetite, but the potential demand that they could end up bringing to the table over the next decade or so that’s the real story. Because while SMSFs aren’t big property buyers now, they are sitting on a mountain of cash. At last count, they were worth $507 billion. And at the moment, residential property only accounts for around 3.5 percent of the total portfolio. As I said, that’s not massive. That’s about $18 billion. Still a sizeable player, but nothing over the top. Because I’ve seen surveys that suggest that SMSFs would actually like to have much larger exposures to property – like something in the order of 30 percent. Now we’re talking serious cheese. If SMSFs followed through on that promise, they’d be throwing another $160 billion towards property. Drop a rock in the pond that big and you’re going to have some serious waves. But wait, there’s more! Under current rules, SMSFs could leverage that $160 billion towards something around $350 billion and some steak knives. So it suggests that current SMSFs spending of $18 billion could well become $350 billion in a matter of years. How quickly? Well that’s anybody’s guess. To get a sense of what kind of impact that could have, remember that average house in Australia are worth around half a mil. So we’re potentially looking at demand for an extra 700,000 houses. How big is that? Well, remember that we only build about 70,000 homes a year at the moment. So we’re potentially looking at a sudden surge in demand that’s equivalent to about 10 years worth of current supply! Or imagine that SMSFs gradually roll out the desired increase in property exposure over a full decade. That will still see them potentially buying every new house on the market, every year, for the next ten years! This is the potential SMSFs have to be a total game-changer. They’re not there yet, and there’s no point blaming them for the rocket under prices in Sydney. It’s got almost nothing to do with them. But what we’re looking at is a long run level-shift in Australian property prices. In economics they distinguish between cyclical ups and downs, and structural ‘level’ shifts. And so in ten years, we’ll still have a property cycle. The property market will still be hotter some years than others. But the surge in SMSF demand will have created a level shift in prices. And in the process, they’ll prop up the cycle. Down years won’t be as down. Up years will be spectacular. All we’ve got to do is get in on this side of the level shift. And as the data shows, that’s where we’re at. SMSFs don’t have the exposure they’re looking for yet. But they’re on the way. And if the Chinese buyers reach their potential too… well, we’re looking at a very crowded pond indeed. I saw a recent survey that said 83% of economists now think that the next interest rate move is likely to be up. That’s almost a dead-ringer for it going the other way. But first, before we get to that… Let’s look at two big issues that are giving the RBA headaches. Let’s start with a chart that shows just how much the game has changed in Australia over the past 20 years. This is the share of export trade going to our three biggest trading partners – the US, Japan and China. It’s a stark reminder of just how important China has become. The share of exports to Japan and the US have been in steady decline over the past twenty years. China on the other hand has gone bang. China’s share has gone from less than 5 percent at the turn of the millennium, to just shy of 35 percent this year. Over one third of our exports are now going to China! This is an incredibly rapid ascendancy into an amazingly dominant position. We have become hugely reliant on the fortunes of China, and just how much of our stuff they can buy. To a large degree this is a resources story. If you look at the breakdown of Aussie exports, there’s been a similar surge in the resources share of exports, again kicking off around the turn of the millennium. But while resources have dominated the China story, we’re also exporting rural (=food) and services to Chinese buyers. And this is why everyone is watching China so closely these days. China does have a big impact on how things are flowing here. What’s interesting about the explosion in exports to China is that it’s come at a time when the Aussie dollar has remained persistently and stubbornly high. And it’s remained a thorn in the side of policy makers – especially poor ol Glenn at the RBA. Because the high dollar – and pretty much everyone agrees it’s too high – is real headache for those Aussie businesses that have to compete with companies overseas. When the Aussie dollar is strong, it’s not just the price of our exports goes up and foreigners don’t want to buy as much. It’s also that the price of competing imports goes down. So if you’re an Aussie manufacturer – making cars for example – a higher AUD makes your overseas competitors’ cars cheaper. And so you’ve either got to cut your price as well (decreasing profitability) or find ways to cut costs, or both. But the AUD’s been high for a long time now. The low-hanging fruit of efficiency gains have been picked. And so it’s tough times for Aussie companies. This chart here sums it up. It compares inflation (the annual change in prices) of tradeable and non-tradeable goods and services in Australia. Tradeable goods are those goods where an import from overseas would do just as well – like cars. Non-tradeables are those things were you can’t import them from overseas – like haircuts. What it shows is that inflation in non-tradeables has been pretty consistent – hovering around 4 percent over the past three years. Prices of tradeable goods and services however have been falling since the beginning of 2012. Inflation has been negative from that time on, and is only now just starting to push back towards positive territory. It’s likely that the high AUD has a lot to do with this. But what that means is that if you’re a company producing tradeable goods and services, then you’ve had to cope with a climate of falling prices. You’ve either had to cut your own prices as well, or risk being priced out of the market. This, of course, would eat into your profit margins and make for very lean times. And so the high AUD is making for tougher economic times. If it’s hurting company profits, then it’s also taking a swipe at employment, which in turn means consumer confidence and retail sales. And so everyone would like to see the dollar move lower. It’s currently stuck in a band a few cents either side of US 95c, and has been for months. And the fortunes of the dollar are largely being dictated by what’s going on overseas, and there’s very little anyone here at home can do about it. And for the time being, the headwinds coming off the high AUD are keeping downward pressure on rates. If the AUD is slowing us down, then interest rates need to be speeding things up. Glenn Stevens would like to avoid cutting rates if he can. With official rates already down to 2.5 percent, and a lot of nations already pushed to the zero-bound, he’ll be doing everything he can to avoid a similar fate. Once rates go to zero, your options really narrow down. And you end up with crazy experiments like Quantitative Easing. And so it would be a dream come true if the AUD fell another 10 to 15 percent. It would make Glenn’s job a whole lot easier. And it would be a big shot in the arm for the Aussie economy. But the AUD just won’t move. Glenn’s even got into the ‘jawboning’ game. At the beginning of the month he threw up his hands and took the unprecedented step of trying to talk the Aussie down. It might not sound like such tough-talking to us, but for central bankers and markets, these were fighting words. And it worked… for a bit. Glenn’s statement knocked more than a cent of the Aussie dollar that day. But the effect was only temporary, and was unwound when another central banker – this time in Europe – said that Europe could be on the way to quantitative easing too, and the AUD jumped again. And the net effect is that this month, the AUD has held fairly steady. Stevens is right. In theory the dollar should be lower. And everyone would like it to be lower. But it doesn’t matter. It’s what happening overseas – particularly in the US that’s driving the dollar’s fortunes. And this means, that for the time being, the RBA’s easing bias remains in effect. China farts and Australia craps its daks! Hey, you and me need to discuss this. Your wealth and your children’s wealth depends on it whether we like or not. Have you seen the movie, Looper? It’s a movie about time travel 50 years from now. One of the main characters travels back from the future to tell his younger self to learn Chinese, it’s the language of the future. Remember this…. ‘America sneezes and Australia catches a cold’? That’s exactly what happened last year. It looked for a while like China’s growth might fall below 7 percent. That’s not a bad rate of growth. But if you’re trying to pull a billion people out of poverty within a generation, it’s not enough. And it’s not enough to support China’s monstrous demand for commodities. The World Bank estimates that China currently consumes 45 percent of all metals produced globally. So if one country is consuming almost half of the global metals market, even the slightest tremor is going to send shockwaves across the world. The RBA cut rates twice in quick succession, just to cover our assets. In the end, China got back on track, and all the data so far this year are helping mining executives across the country sleep a little better. Basically, China was trying to pull off an incredibly tricky acrobatic rebalancing act. They just didn’t quite nail the landing. During the GFC, China cuts rates aggressively to try and insulate itself from the fall-out. In concert with sustained government spending, the rate cuts worked, and the Chinese economy crashed through the worst of it. Trouble was, interest rates got stuck on a high-speed setting. And with interest rates at bargain basement levels, money started gushing towards the property sector. The Chinese leadership started to worry about an emerging blossoming bubble in real estate. And so Beijing started looking for ways to take some heat out of the economy – to rebalance growth away from the property bubbles, exports and infrastructure investment, and towards private investment and consumption. Their strategy was to let the economy cool down a little. To bring growth back down to around 7 percent, from decade averages of over 8 percent. The Chinese government still cut interest rates and banks’ reserve requirement ratio twice last year. But given what was playing out on the international stage, this was seen as conservative. However, in the third quarter of last year, a string of soft data releases gave rise to the fear that China had undershot the mark, and was running dangerously close to stalling. But China was never going to let it happen. Can you imagine how hard it must be administering a nation of 1.3 billion people? It makes what’s goes on in Canberra look like the squabbles of an outer-suburban council. And can you imagine what an angry mob of 1.3 billion looks like. It’s a scary thought. There’s some very strong incentives to make sure the climb out of poverty continues. And quickly too. But China has one big thing going for it – it’s stage of development. China is around where Japan and Taiwan found themselves about 50 years ago. There’s has been an incredibly rapid pace of urbanisation over the past 20 years in China, but still 53 percent of the Chinese population live in rural areas. And there are estimates that moving every 200 million farmers to urban areas boosts GDP by 0.8 percentage points. That gives the Chinese a powerful lever to lean on. Similarly with investment. In a transition economy like China’s, it is easy to find productive areas to invest in – areas that expand productive capacity in the long run. And so China knows that if it needs government spending to give GDP a boost, it can also fall back on infrastructure investment. And it can trust that, (9 times out of 10!) it’s not building some massive white elephant. In this way, China’s stage of development affords Chinese officials with degrees of freedom not available to more advanced economies. And you can be sure that the incoming Chinese leadership team will be doing everything it can to keep the party going. In November 2012, the CCP completed a sweeping transfer of power with the new General Secretary, Xi Jinping and the new Prime Minister, Li Keqiang coming to the helm. While this transfer is not technically official until the annual session in March 2013 of China’s parliament, for all intents and purposes, this new leadership is in place. And they will be keen to stamp their mark, and show the Chinese people that the economy is in good hands. Some forecasters are predicting that fixed-asset investments in infrastructure, including roads, bridges and housing, could surge to 20 percent this year, from 16 percent in 2012. China will need to follow the classic development model at some point – moving away from a reliance on investment and exports, to a greater contribution from domestic consumption. But in the mean time, over the next ten years at least, China can rely on massive investment to drive things along. A recent Fitch Ratings report shows investment (both public and private) reached a new record of 45.6 percent of GDP in 2011. No country in history has known anything like it – not even Japan, Taiwan or South Korea. This obviously has very bullish implications for Australia and the Australian resources sector. There will be ebbs and flows in demand for commodities, but there will be a fundamental level of unshakable demand. With the world awash with money thanks to the central banks and the China phenomenon, this year is a great year to build wealth and accumulate assets like crazy.